"In a moment, in the twinkling of an eye"
The Bible warns of a coming day when all who are found waiting in faith for Jesus Christ (Yeshua Ha'Mashiach in Hebrew), will be removed from the Earth "In a moment, in the twinkling of an eye" . . .
What is this strange, bizarre, mysterious, Bible prophecy all about? Prophet after prophet in the Bible warns us of a very specific period of time referred to by many names, including the "The Day of the Lord's Wrath," "The Time of Israel's (Jacob's) Trouble," "the Great Tribulation," and the "Apocalypse" (which actually refers to the 'Revelation'), when God is going to "pour out" His wrath on a "morally corrupt" and "violent" generation who has turned its back against Him and His Word in arrogance and unbelief. We are also told all those who sincerely believe in Jesus Christ, the promised Messiah, and humbly wait for Him in faith, are not "appointed" to this coming 'Apocalypse' which will one day engulf the whole world . . .
who delivers us FROM the wrath to come." we should live together with Him (in Heaven). The actual word "rapture" is not found in most Bibles. The original Greek word "harpazo" which was translated "caught up" in many English translations could have been, or should have been translated, "to seize, to pluck away, or to take by force." The original Greek word "harpazo" was later translated in the Latin as "raeptius" or in some cases "rapturo". So, the term "rapture" comes from the Latin translation. Both Enoch (the 7th from Adam in the book of Genesis) and the prophet Elijah were taken up ('raptured') before they died. The "Rapture of the Church" is controversial. So, before we get started, please remember one important thing. Whether you believe the body of believers will be "snatched away" before the great and terrible Day of the Lord, or in the middle of it, or if you just don’t know, doesn't really matter. The only thing that matters is that you don’t get left behind. The door will be shut. This prophecy, or any prophecy, should not be a point of contention between believing Christians. in a moment, in the twinkling of an eye"
until the indignation (the great Tribulation) is past. and will no more cover her slain." to test those who dwell on the Earth." "Behold, I come quickly (suddenly)!" no, not even the angels of heaven, but My Father only." One will be taken and the other left." what hour your Lord is coming." and keep your lamps lit. when he comes and knocks. at an hour you do NOT expect." you have no need that I should write to you. so comes as a thief in the night." Who will get "Raptured" (and who will be left behind)? 1. Those who sincerely believe and trust in Jesus Christ, the promised Messiah. All those (both Jew and Gentile) who believe Jesus Christ willingly and lovingly suffered and died upon the Cross for all of our sins, was buried, and then rose again the third day (1 Corinthians 15). Those who have sincerely accepted Him as their Lord and Savior (who saves us from our sins and from Hell). The Bible also promises all those who are "eagerly awaiting" His return in faith will be "counted worthy to escape" (be removed or raptured from) the coming Apocalypse. 2. Those who call themselves Christians, but don’t really believe these things, and have no real faith in Jesus, God, or the Bible. Those who don't believe they will need a Savior to get into Heaven. Those who have never willingly opened the door of their hearts to invite Jesus into their lives and receive Him as their Lord and Savior. Those who don't believe, or take the Bible (or Christ's return) seriously, and will not be ready to go with Him when He returns suddenly, "as a thief in the night." These people might even attend a local church regularly or think wearing crosses around their necks will help set them apart. 3. "The World." Those who do not believe, and who ridicule, scoff at, or despise those who do. Those who deny Jesus as Lord and willfully reject His loving offer of forgiveness and His freely offered gift of eternal life in Heaven. Those who think all of this Bible stuff is just plain crazy. These will not escape, but will enter into "The Day of the Lord" ... the coming Apocalypse. 4. Israel. Those children of Jacob (Israel) who have not yet accepted Yeshua (Jesus) as their promised Messiah have a clear prophetic destiny. Watch Israel. Israel is God’s timepiece in Bible prophecy, and all the prophecies of the coming 'Apocalypse' revolve around the tiny nation of Israel ... the only nation which God calls His own. It appears that only those believers in Group 1 will be "Raptured," and thus safely removed and hidden before the coming Apocalypse. Many churches, pulpits, synagogues, and pews will still be filled. Many people will be left behind. The Bible warns of a coming world leader who will be revealed sometime soon after the Rapture. This coming world leader has been given many names and titles in the Bible, both in the Old and the New Testaments ... one of his 'titles' is the "Antichrist." There are some who feel this coming world leader may even powerfully convince those who are left on Earth after the Rapture that this missing segment of global population was kidnapped or removed by a much different kind of alien "force." We do not know, and we are told that no man will ever know the day or the hour. However, there doesn't appear to be anything left in prophecy that needs to be fulfilled before the Rapture can take place, so, it could easily happen any day . . .
in which the Son of Man is coming." The Lord says it could happen at any moment, "In the twinkling of an eye!" He says it will happen at a time when the world will least expect it. We are told we should always be prepared by simply believing in Him and "eagerly" waiting for Him in faith. We are also taught we should help prepare others. and destroy with the brightness of His coming. We are also told the coming Antichrist will be revealed (to those who are left on Earth) when he enforces a coming Peace Plan ("covenant") upon nation Israel. This specific prophetic event will mark the exact day the 7 years (2,520 days) of the Apocalypse will begin. Since there are many who feel this man is probably alive today, it seems to be a good time to learn what the Bible has to say. 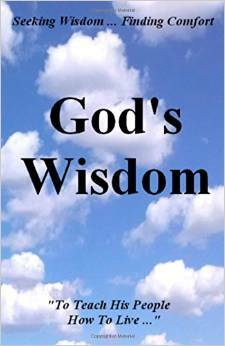 God provides prophetic insights into the attitudes of those who will be found living "In the last days" . 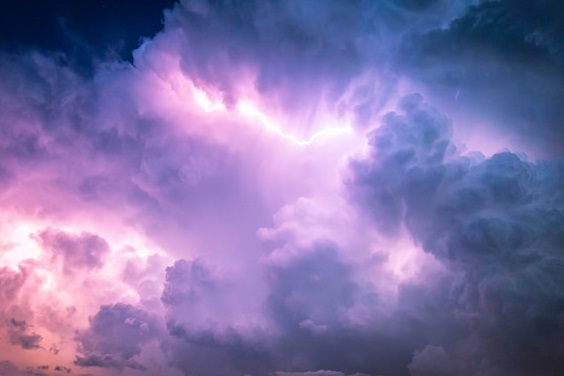 . .
from the beginning of Creation.’"
From Peter's prophetic warning, it appears these "scoffers" will include churches, plus many who go to church. "The word translated "scoffer" in English can mean "one who mocks, ridicules, or scorns the belief of another." In Hebrew, the word translated "scoffer" or "mocker" can also mean "ambassador." So a scoffer is one who not only disagrees with an idea, but he also considers himself an ambassador for the opposing idea. He cannot rest until he has demonstrated the foolishness of any idea not his own. A scoffer voices his disagreement, ridicules all who stand against him, and actively recruits others to join his side. In the Bible, scoffers are those who choose to disbelieve God and His Word." 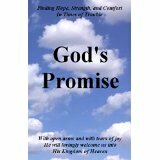 Yet, God graciously answers those who sincerely ask, "Where IS the promise of His coming?" or, "It’s been around 2000 years, why hasn’t He returned yet?" God is patient. We are told He has waited this long because He loves us and wants us to "repent," which simply means to turn away from sinful activities and turn back to Him and His ways, which are good. He is filled with patience, forgiveness, and mercy. He will protect and shelter all who will draw close to Him before the coming time of trouble. He warns us through prophecy so we will realize how perilously close we are to the end. He wants us to realize how far from Him and from His protection we have wandered, and to run back to Him as we sense the danger we are in. Also remember, the Bible teaches us that to God "A thousand years is as one day"... (Psalm 90:4 & 2 Peter 3:8). So, we are just around the "third day" since Messiah was sent forth to save sinners. God has patiently waited for the good news ("gospel") of His Son's victory over "sin, death, and Hell" to slowly be carried into every nation around the world. And once the Gospel has reached the farthest ends of the Earth (which it has now), Mankind (whom He created) has been given the free will to make their own decision whether to accept it or reject it. While the bridegroom was delayed, they all slumbered and slept. Note: Throughout the Bible, certain symbols are used consistently as "idioms" or "types." This is the exact same prophetic warning as we read in Matthew 25, but Luke modifies and condenses it for his Greek-Roman audience which would not know the Jewish Wedding Rituals (unlike Matthew who was writing to a Jewish audience). In summary, you will find the Song of Solomon is an allegory of a Bridegroom and His Bride based around TWO dreams. These two dreams together represent the exact same prophetic warning we read in the Matthew 25 prophecy of The 10 Virgins. In the FIRST dream (in Chapter 3) we find the virgin Shulamite bride anxiously awaiting and dressed for her Bridegroom. When he does come and knocks she is "dressed and ready" and she immediately leaves with him for the wedding feast. This dream would represent the 5 wise virgins. This is her perfect dream come true. In the SECOND dream (in Chapter 5) we find the virgin Shulamite bride had already washed her feet for bed, put her pajamas on, and gone to bed. When the Bridegroom does come she is not dressed and is not ready to leave with him for the wedding feast. She considers her predicament, and then decides to get dressed. By then, he is gone and she goes out to try and find him. This time the "watchmen" patrolling the area viciously beat her and possibly kill her (myrrh is a burial spice which always represents death.) This dream would represent the 5 foolish virgins. This is her worst nightmare. This also represents the millions of men and women (sometimes called the "Tribulation Saints") who will one day miss the Rapture because they were not "eagerly waiting" His return, but soon after, many will search the Scriptures and become strong believers (and martyrs). We are warned in prophecy these people all over the world will be arrested, beaten, tortured, and put to death (by the political "watchmen" who will rise at that time) for REFUSING to take the "mark of the Beast" (which will one day be legally required to buy food and clothing for their families). In God's eyes, taking this mark or number of the Beast will spiritually "betroth them" to the Antichrist and Satan, thus destroying any chance of ever entering into the Kingdom of Heaven. God will take the "sting" out of their deaths, and there are special blessings which are promised to them for all eternity in the Kingdom of Heaven for refusing to bow down to the Antichrist (a coming world leader and his powerful "religious" partner) and for refusing to take his mark or number on their hands or foreheads. What is also very interesting (and I didn't know until reading a Bible study from Moriel Ministries entitled "Dressed and Ready" which helped bring understanding to these prophetic passages through Jewish eyes) was that the children of Israel all around the world read these passages from the Song of Solomon every year during the Passover Feast! In this Passover passage, God orders the children of Israel to be "Dressed and Ready!" for the Passover (which would come sometime in the middle of the night), with their households covered and protected through "the blood of the lamb." We find all those who obeyed and placed their faith in God's Word were spared and sheltered from danger (or in our later fulfillment, "raptured" and removed from the danger). These represent the 5 wise virgins. While all those who didn't obey or have faith in God's Word and weren't ready (and covered by the blood of the sacrificial lamb) went through great torment, death, and distress. These represent the 5 foolish virgins. The book of Revelation ("Apocalypse" in Greek) is the only book in the Bible that promises a special blessing for those who teach and those who study (or listen to the words) of this book. In Chapters 2-3 of the book of Revelation we find seven letters written to seven churches. These letters are written by Jesus Christ. While these letters contain many practical guidelines for churches (and people) to follow, they are also prophetic. The order these letters are written follow the chronology of Church History. Each church represents a particular period of Church history. You could not rearrange these letters in any other order for them to fit so perfectly. The last two churches, the church of Philadelphia and the church of Laodicea represent the two sets of churches and "Christians" who will be found in the generation living around the time of the coming Rapture and the coming Apocalypse. For the church of Philadelphia will find the door into Heaven is opened to them (for the wedding feast). We find these people and churches have little strength but have stayed faithful to the Word of God. They have "persevered" (meaning they remained "dressed and ready" for His return). They have not let the powerful opinions of their generation seduce or deceptively lead them away from believing and trusting in what's "right or wrong" and what's "good or evil" according to what God's Word teaches in the Bible. They have not allowed any people or churches to convince them that Christ's (the Bridegroom's) return is just symbolic, fanciful, or for some time in the far distant future. Even though it is late at night, and the time is now in the second or third watch of the night, this church has stayed awake, dressed, and ready for the Bridegroom to return. I could wish you were cold or hot. I will VOMIT you out of My mouth." In Greek, Laodicea can be translated "Peoples Opinions." In John 1:1 and Revelation 19:11-19 we find one of Jesus Christ's "Names" is "The Word of God." The whole Bible, from Genesis to Revelation, is the Word of God. We find the Laodicean style churches have put "The Word of God" (Jesus) outside as they teach, preach, and believe their own "opinions" as to what is "right or wrong" and "good or evil," even if it "denies" or opposes what God's Word actually says. Here, we find Jesus (the Word of God) has been placed outside these churches and He has to knock to get back in. But, then we find in the verses just following this warning, Jesus Christ provides a wonderful offer and promise to any individuals within these lukewarm churches who will humbly open the door and invite Him into their lives. These people then become one of the 5 Wise Virgins, and with open arms and with tears of joy will be welcomed into the Wedding Feast (Marriage Supper) of the Lamb! and dine with him, and he with Me. Just like the 5 foolish virgins we found above in Matthew 25, these people consider themselves Christian, but then, just like the Laodiceans, they are putting peoples opinions above God's Law in direct opposition to His statutes, commandments, and rules. Their beliefs reflect a lukewarm obedience God's Word and His Law which were given to protect and save us. These people are not eagerly waiting His promised return. and done many wonders in Your Name? Nicodemus, a powerful Jewish religious leader (who we find later did come to believe and accept Jesus Christ as the promised Messiah) came secretly to speak with Jesus one night . . .
‘How can a man be born when he is old? he CANNOT enter the Kingdom of God (Heaven). and that which is born of the Spirit is spirit.’"
We had no choice concerning our first birth ("of the flesh"), but to be born again of the Spirit and into the Kingdom of Heaven requires a conscious choice and decision on our part. The Bible says if we believe, sincerely and in faith, that Jesus ("the Son of God") lovingly and willingly shed His blood and died on the Cross for us (as God's "sacrificial Lamb" which takes away all our sins "once and for all"), was buried, then rose again the third day (through the awesome power of God), and sincerely (and lovingly) accept Him as our Lord, invite Him into our lives, and turn back to God (and turn away from our sinful ways), then we are "born again" (and are called "a new creation"). This time, we are born of the Spirit and are told we will be "indwelt" by the Holy Spirit (which we can't see but the evidence is reflected in how our lives begin to change). This is God’s Word and His Promise. Then, even while facing the difficult tests and trials we will find in our earthly lives, we can rest knowing our eternal destiny is assured ... and since we now have the hope and promise of eternal life through our "second birth" (in Heaven) we no longer have to fear the "second death" (in Hell). AFTER the "Rapture" the door of escape will be closed . . .
things that are NOT yet done ..."